To mark the occasion of 50 years of public support for the arts, 2015 was officially designated the Year of the Arts. The Council launched three initiatives. The Council made a three-year commitment to increased grant funding for arts-integrated learning. This decision was informed by an existing Arts Education Plan. The Vermont Creative Network was formed. This broad collective of organizations, businesses, and individuals will advance Vermont’s creative sector and become a strong voice in Vermont’s development. The Council further developed its online presence, marketing programs, and other communications tools. Strategic collaborations were strengthened. 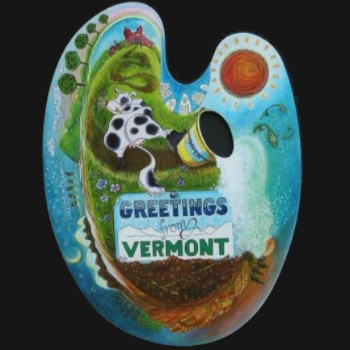 Art is becoming a recognized element of Vermont's identity. 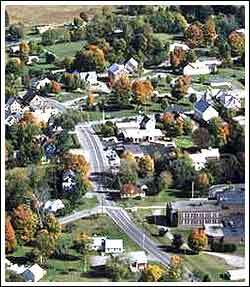 The Danville Transportation Enhancement Project was a partnership between the Vermont Arts Council, the Vermont Agency of Transportation, and the Town of Danville resulting in the successful redevelopment of a section of U.S. Highway Route 2 that runs through the center of Danville, Vermont. It was significant as a model of successful inter-agency partnership driven by an awareness of the importance of Context-Sensitive Design. With broad public, private, and multi-agency support, the Danville Project provides a model to help small communities deal with quality of life issues as they relate to the demands of infrastructure. 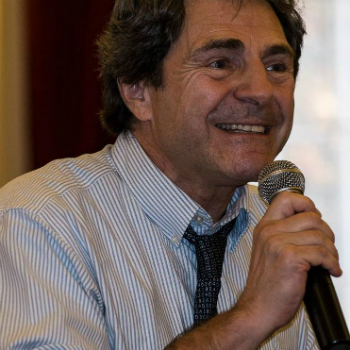 Artists, arts administrators, teaching artists, arts enthusiasts, and digital arts technologists from all over Vermont were convened by the Vermont Arts Council and the Office of Creative Economy for a one-day event for the arts held at the State House. It had been 15 years since the last such gathering. Keynote speaker Eric Booth started the day with a talk inspiring all to explore the Summit’s theme: Connect Animate Lead. Art Supports Me was a public awareness campaign launched by the Vermont Arts Council in the fall of 2010. 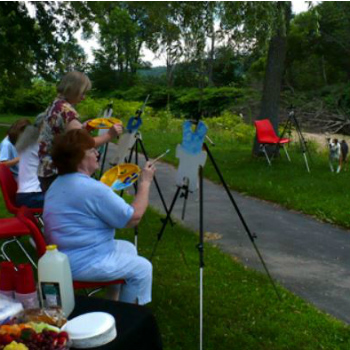 In addition to collecting stories and testimonials on line and in person, project participants and artists were interviewed at local cultural events. 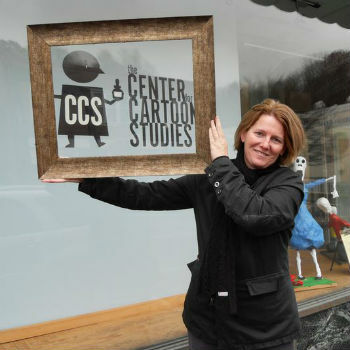 The stories were shared through radio, television, web and print promotions to demonstrate how important the arts are to Vermont's economy, communities and voters. With an interest in moving beyond collecting artwork celebrating Vermont’s iconic past, philanthropists Lyman Orton and Janice Izzi asked the Council to help commission ten visual artists to create suites of artwork addressing issues considered essential to Vermont’s future. 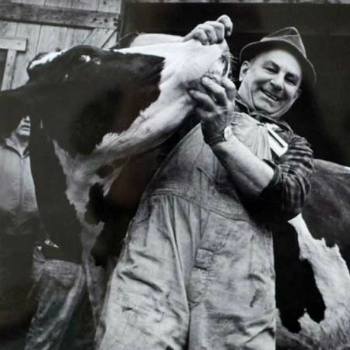 Informed by research conducted by the Vermont Council on Rural Development’s Council on the Future of Vermont, the artists created work that addressed Vermont’s social, cultural and political landscape. In celebration of the 20th anniversary of the Art in State Buildings program, the Vermont Arts Council and the Vermont Department of Buildings and General Services created a traveling exhibit featuring approximately 50 of the 1,000 pieces in the Vermont State Art Collection. The exhibit included works of art that are rarely seen by the general public and the people who own them--the citizens of Vermont. 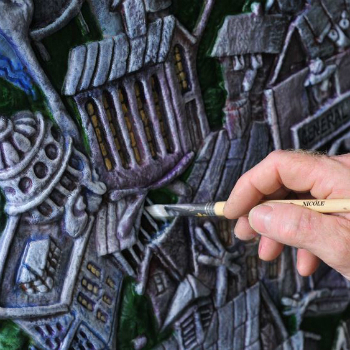 This second statewide community arts project was modeled on the Council’s wildly successful “Palettes of Vermont,” and had very similar goals. The Council distributed wood and paper puzzle pieces and encouraged any and all Vermonters to create, showcase and celebrate art. About 9,500 wood puzzle pieces and 51,000 paper puzzle pieces were given to individuals, schools and community groups across the state. 191 organizations and 146 schools took part. Participants hailed from 172 towns in all 14 counties. At least 60,000 people (10% of Vermont's population!) made art. More than 300 people brought their completed wooden puzzle artworks to “PuzzlePalooza” in Battery Park, Burlington to help create one of the largest collective works of art ever recorded. More than 2,000 people and palettes gathered on the state house lawn for PalettePalooza. In 1998, it was resolved by the Vermont Senate and House of Representatives that a volunteer committee consisting of three persons appointed by the board of the Vermont Arts Council would solicit and review musical candidates to be designated as the official Vermont State Song. The intention was to replace "Hail, Vermont" with a more singable melody. —An Act Designating the Vermont State Song (H.598)—was enacted by the General Assembly of the State of Vermont on May 5, 2000. 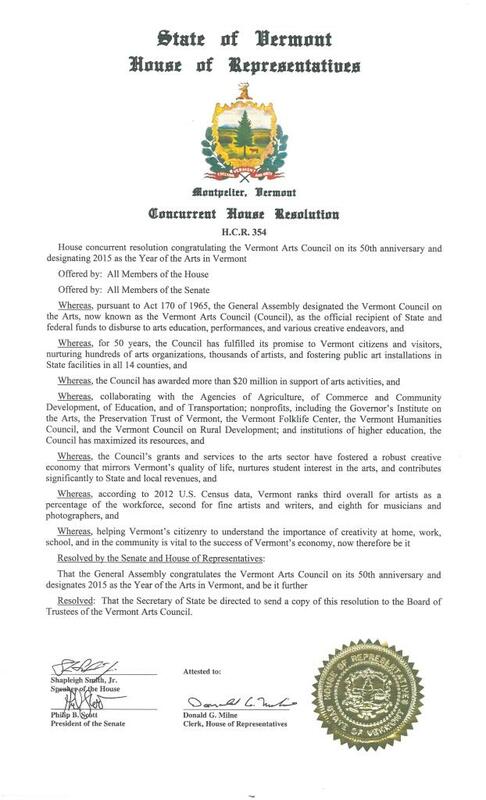 In 1998, the General Assembly adopted Joint House Resolution 102, directing the Vermont Arts Council to appoint a three-member panel to recommend a new state song to the General Assembly. The specially-appointed panel, pursuant to the resolution, conducted the selection process in a fair and impartial manner. A total of 107 entries was received. After a careful review, eight songs were selected as finalists, aired on the state’s public radio and television networks, and posted on the Vermont Arts Council’s World Wide Web site. All Vermonters were invited to participate in the review of the final eight selections. As a result of this public process, the winning song was “These Green Mountains,” composed by Diane Martin and arranged by Rita Buglass Gluck. The public and representatives of for profit and not-for-profit organizations may perform or invite the performance of the song for any reason without compensation to or permission from the composer. A ceremonial signing took place May 22, 2000. 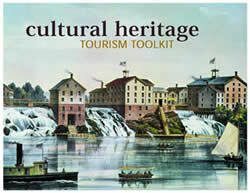 In the spring of 1995, the Vermont Department of Tourism and Marketing recognized the need for a heritage tourism task force. 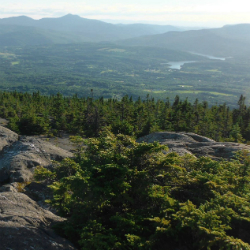 More than 60 Vermonters having specific knowledge and interest in this field were contacted. From that number, a core group of 20+ regulars met over the course of the next several months to define cultural heritage resources in Vermont, to develop links among those resources, and to propose strategies for marketing them. 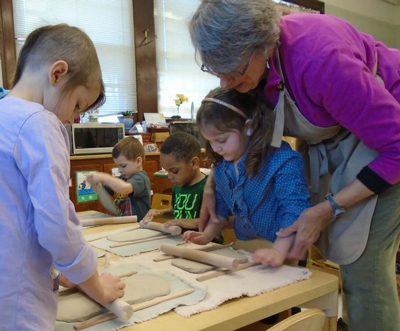 In 1997 and 1998, the Vermont Arts Council took a leadership role in implementing the findings of the Cultural Heritage Tourism Task Force by conducting statewide workshops on the subject, and by providing seed grants for cultural heritage tourism projects. The following year, the Vermont Arts Council joined forces with the Vermont Department of Tourism and Marketing to establish a sustained approach to coordinating Cultural Heritage Tourism activities. This toolkit is the direct result of these efforts, and was written to assist interested parties in making cultural heritage tourism decisions within their communities. The text addresses issues and concerns often encountered when contemplating such choices, and offers suggestions on how to deal with them. Although some of the specific information and website references are outdated, the basic instructions are as relevant today as they were in 1998.